Will You Take Our Pictures? A mute swan couple at Hanover Pond catches sight of me & poses for a rare picture! Such “Head Turning” motions are a known courtship behavior. For several years a sizeable colony of feral mute swans lived here year-round where they mated & raised their young. 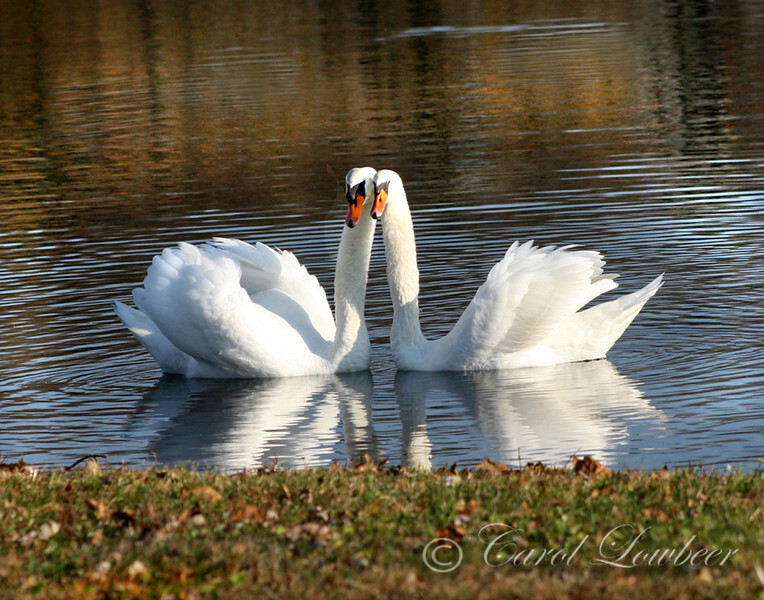 Most mute swans breed at 3 years of age and remain with the same mate for life.